1984 Jeep CJ7 with big power and driving versatility. For this custom 1984 Jeep CJ7 restoration, the owner wanted to keep the unique look and color specific to the year. 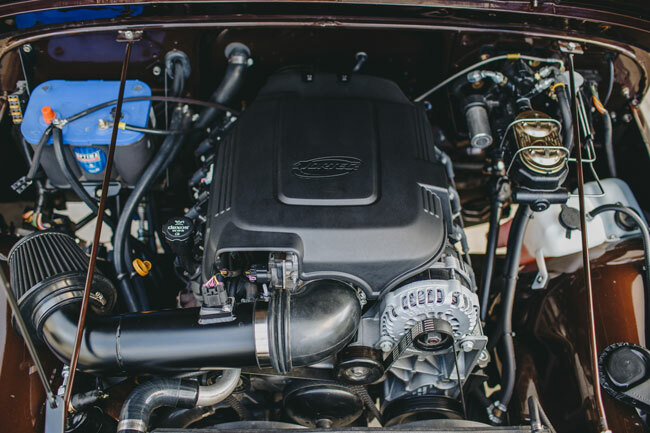 He wanted big power under the hood and more driving versatility. After taking the entire Jeep CJ7 apart and doing any needed body work, sanding and powder-coat application, our jeep restoration shop began building this machine up. 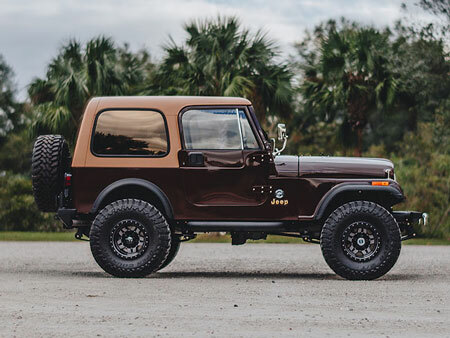 The body was professionally custom painted in house using the original Jeep Brown Mist color. For horsepower and capability we agreed upon an aggressive new GM 6.0 Liter LS Engine and new AX-15 5 speed transmission. Next we added a rebuilt DANA 300 transfer case, a rebuilt 30 front axle and a custom built 9 inch rear axle to give the CJ7 a beefy look and powerhouse support. To upgrade the Jeep’s stopping power, we installed the reliable and efficient Hydro-boost brake system with 4 wheel disc brakes. 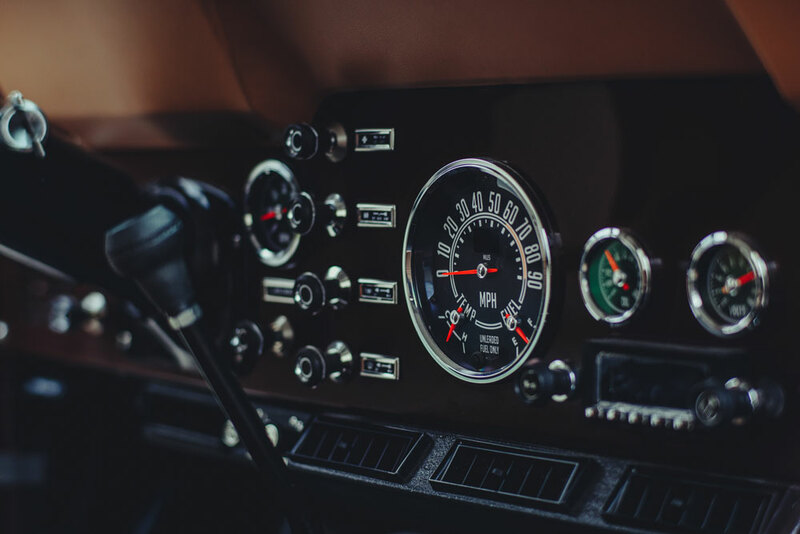 The dash needed new gauges so we used the accurate and dependable Speedhut gauges for a stylish and customized look as well. 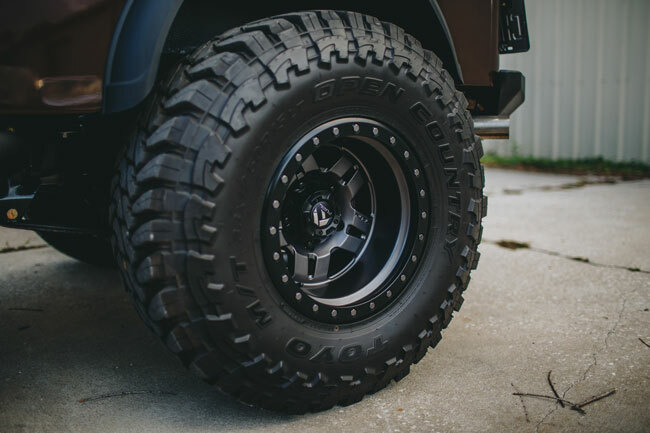 The rugged, terrain teasing bumpers by Smittybilt were perfect for this model Jeep.